One of the great things about actors like Laurence Fishburne is that they’re able to bring characters to life so well they damn near make you believe in their fictional stories. One of the worst things about being an actor like Laurence Fishburne is that sometimes fans can’t separate fact from fiction. Fishburne recently stopped by Conan to talk about the longevity of his career and how, despite having been in the business for over 40 years, he knows that he’s going to be best remembered for playing The Matrix’s Morpheus. 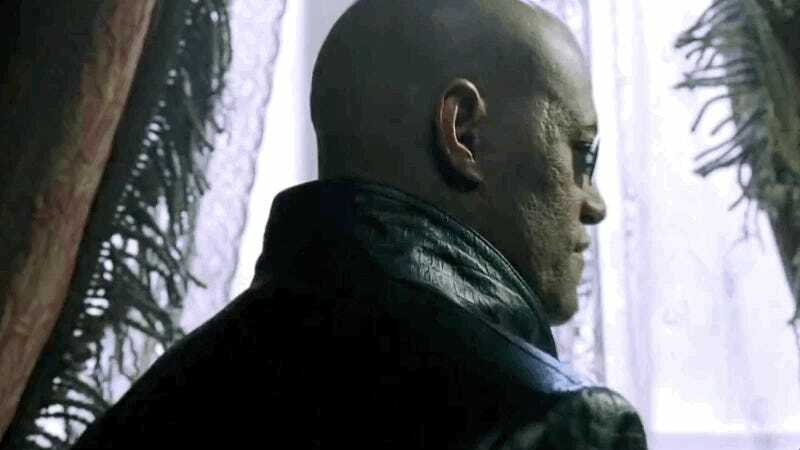 Fishburne’s totally cool with that—Morpheus was an iconic character. What the actor’s grown weary of over the years, however, are the fans who still haven’t bothered to actually learn his name and accept that he and the character are not one and the same. Fishburne gets the attachment, but hey, if and when you ever run into him at 7-Eleven, why not call out one of his other memorable roles, like... the Silver Surfer or Cowboy Curtis?